Pulau Bidong was the island where the Vietnamese refugees were taken care of. At the peak there were about 40,000 refugees on the island, which lies off the coast of Terengganu. You can reach it from Merang and the boat trip takes about 30 minutes. Nowadays the refugee camp has become a quiet tourist attraction for Vietnamese who want to visit the former camp again. Nothing has been done to preserve the poignant remains of the once bustling camp. "Personally, I would have liked to stay overnight if I could. When my kids are old enough, I would like to take them to Bidong to see their family history.� Nguyen added that he �understood the economics of not maintaining Bidong� so he did not grieve. �Still, I felt a sense of loss to see it abandoned like that. Bidong was a painful experience that we (former refugees) don�t want to re-live. However, it�s a part of our heritage as much as it�s a permanent part of Malaysian history now. Ideally we should work together to maintain a cultural sanctuary for Bidong. It should remain a beacon of freedom, a symbol of Malaysian charity and hospitality and a gesture of friendship between two peoples." - said Daniel Nguyen, former Pulau Bidong boat refugee. The first boat people landed on the east coast of Malaysia in May 1975. 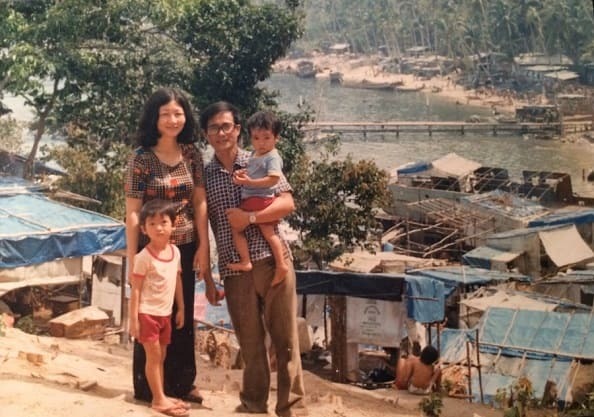 In all, nearly 255,000 Vietnamese boat people were given temporary asylum in Malaysia, where they were cared for by the UNHCR and the Malaysian Red Crescent Society. A total of 248,410 were resettled in Western countries (some of them children born in the camps), and over 9,000 returned to Vietnam. Some Malays have never heard of the island. For those who have it, the knowledge is vague. The very first batch of boat refugees had fled South Vietnam after the Communist North conquered the capital Saigon (since Ho Chi Minh City renamed in 1975). De situatie verslechterde echter in 1978 toen China het noordelijke deel van het pas herenigde Vietnam binnenviel. Dit leidde tot felle haatgevoelens tegen Vietnamezen van Chinese afkomst. However, the situation deteriorated in 1978 when China invaded the northern part of the newly reunited Vietnam. This led to fierce hatred of Vietnamese from Chinese descent. Their possessions were confiscated by the government and many ethnic Chinese decided to flee by boat and they paid high prices in gold. Thus began the enormous exodus of the Vietnamese in often grossly loaded non-seaworthy ships across the ocean in their search for a better future. That was also how Nguyen arrived. He landed on the coast of Malaysia in the evening hours of April 14, 1980. Two days later he was transferred to Bidong. He left the island seven months later to settle in the United States. At its peak, Bidong had about 40,000 refugees at any time and it was a real mini-Saigon with its vast settlements of wood and zinc. From the mainland, the lights of the island were visible at night (there was no electricity from 11:30 am to 6:00 am). Authorities had an administrative center and there was a school, a clinic, a library and the refugees had opened shops. The believers among them built both a Buddhist temple and a Catholic church, which is still there. In its heyday, this once crowded "village" had facilities such as hair and nail studios (separate for men and women), bakeries, a music store, emergency shops and a stage for weekly cultural and musical performances. However, it is difficult to find them. 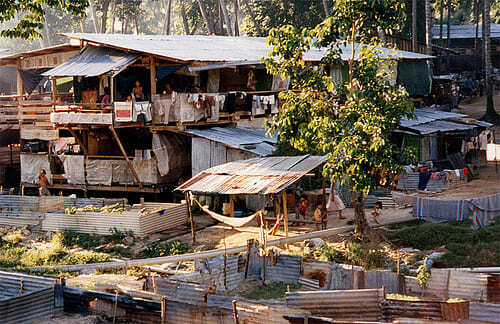 In 1991 Bidong was no longer needed as a detention center for refugees and the federal government officially handed over the island to the government of Terengganu. These relics are the Buddhist temple (with an intact statue of Kuan Yin or the Goddess of Mercy), the Catholic church (the crucifix and the statue of Christ are still visible) and two cement monuments with very moving words (some in the English). In addition, there are two cemeteries on the island where the boat refugees were buried according to their respective religions (most were Buddhist, Catholic or Cao-Daist). 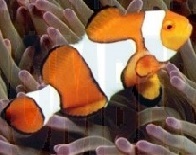 Today Bidong has enormous potential as a recreation and dive site. The beauty is beyond doubt. The water is clear with a visibility of more than 15 meters and many of the areas are untouched. Pulau Bidong and its six neighbouring islands such as Pulau Karah, Pulau Gelok and Pulau Tengkorak have several remarkable diving areas. The average depth of these sites varies from 10 to 20 meters, with the deepest Pulau Tengkorak (about 27 meters). The latter would be one of the best diving sites.